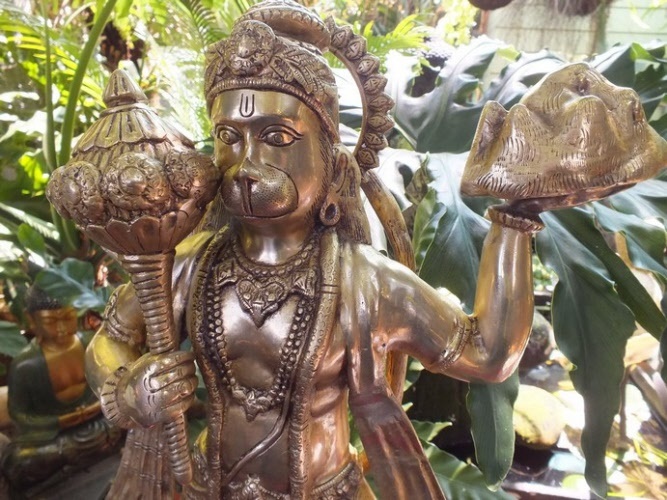 Hanuman is a vanara who aided Rama (one of the ten avatars of the Supreme Personality of Godhead) in rescuing his wife Sita, from the demon king Ravana. stands 18 cms tall. 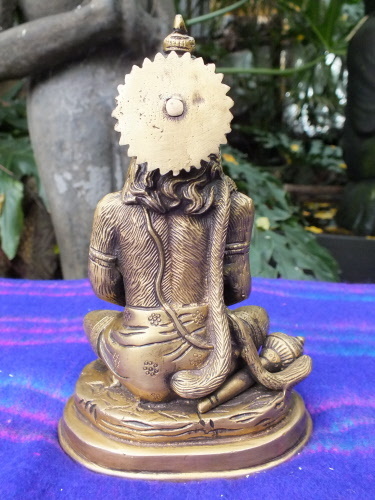 Ideal for the home shrine / altar. 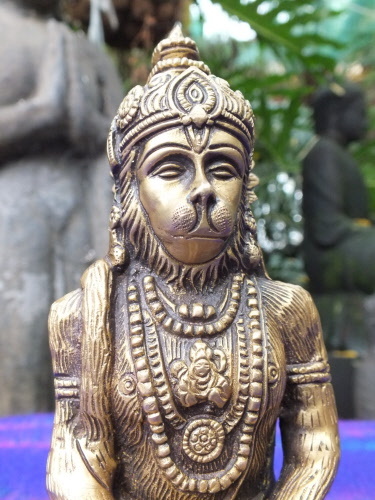 Or even your office desk at work. 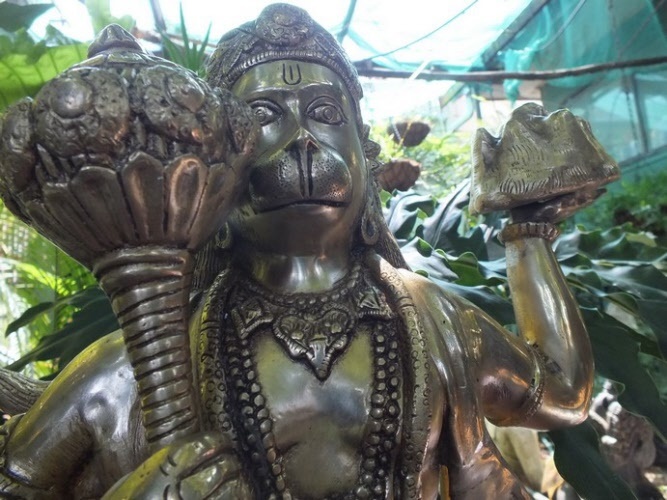 Hanuman, the mighty ape that aided Lord Rama in his expedition against evil forces, is one of the most popular idols in the Hindu pantheon. 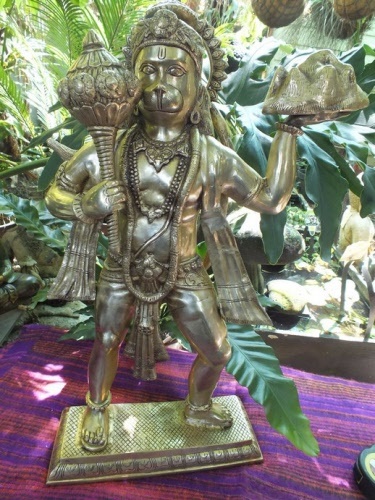 Cast in brass in India using the lost wax method, this beautiful Hanuman Statue is definitely a work of art. 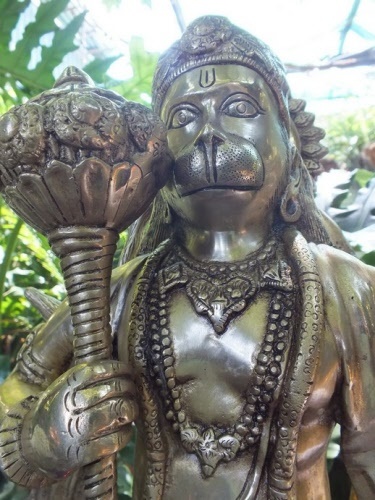 Ideal for a Hindu Temple, the avid collector of Religious artifacts or your home Shrine. 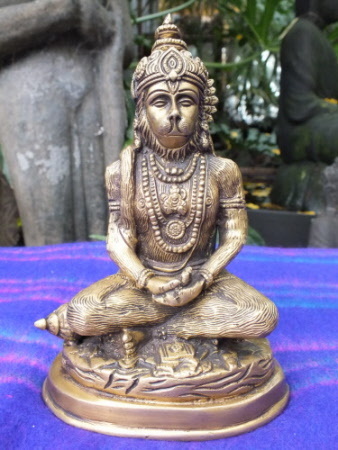 This statue is currently out of stock / it can be ordered in for you.